Our commitment is as vast as the land of our machines cultivate, as tireless as the farmers who work the land day in and day out. AGCO is committed to so much and so many. Because in the end, no matter what we do, no matter how we do it: It's all about delivering value. Plain and simple. At AGCO, we are committed. To the farmers. To the people working for them. To ourselves. To the future. Our commitment and investments in research, design and engineering continue to ensure AGCO stays at the forefront of solutions for farmers worldwide. 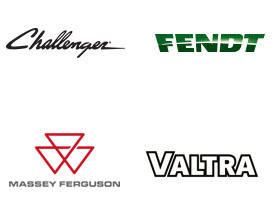 Our commanding position has been forged by the heritage of our leading brands, which include top names like Challenger, Fendt, GSI, Massey Ferguson and Valtra. AGCO has the equipment, experience and solid specialist know-how to provide the right solutions, resolve problems and deliver expert guidance. 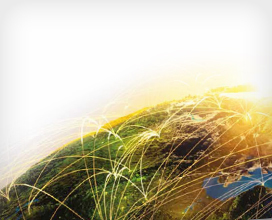 Globally, AGCO provides technologies that help farmers maximize yields, reduce loss and conserve the resources that are key to meeting the growing need for food, fuel and fiber. We integrate corporate social responsibility into our business by evolving our operations to upgrade efficiency and resource management, as well as foster a safe, inclusive and productive workplace. Our employees and suppliers throughout the world are key partners in this journey.